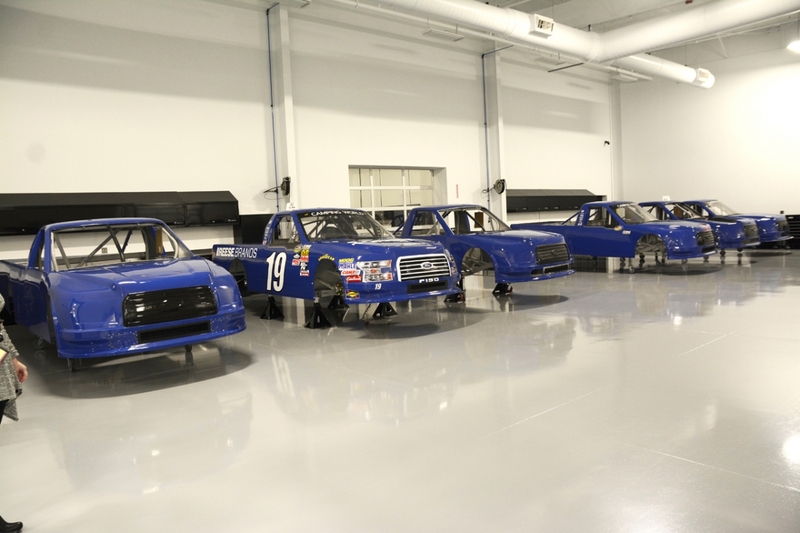 We recently completed work on the new shop for my racing team, Brad Keselowski Racing. I’m extremely proud of the facility—it’s got state-of-the-art everything—and I want to tell you about some of the things that make it unique. But the real reason the shop means so much to me is the story behind it. It’s a story about despair and motivation. It’s a story about hope. And it’s a story about what happens when you believe in yourself, even naively, and do everything you can to persevere. Sometimes, when you do that, you wind up in a place you could only have dreamed was possible. Our newly completed facility. The story behind it is pretty incredible. This story begins in 2006, back when my family’s racing team, K Automotive, was broke and bankrupt. We’d had a sponsor the year before, but the sponsor didn’t pay what they’d promised they would pay during the off-season of 2005. Our debts were piling up, and things were looking pretty grim for my mom, dad, uncle, brother and me. We decided we weren’t going to run Daytona in 2006. We couldn’t afford it. Literally a week before Daytona, he gave us the money to run the race. We were full of hope, just absolutely full of hope. All we needed was a good Daytona. A year earlier, we’d finished seventh. We could do it again. And if we did that, we could maybe keep the wheels on this thing and keep racing, stay in business, and even find a way to pay our bills down. Thinking back, it felt like the start of a late fourth quarter comeback in a football game. We had the ball in our hands, with a chance to win it all. So the race comes, and we’re running on all that optimism, ready to make it happen. There was never more riding on a race in the history of my family’s team than there was that day. It was huge. We wrecked out. A truck in front of me ran into someone. I got caught up in it, and that was it: the ultimate low of lows. On the way home from Daytona, we stopped in North Carolina to drop the engine off. The next week’s race was in California, so we had two or three days to figure out our next move. We were out of money. We did have one asset remaining that was worth a lot: our number. At the time, teams needed to finish in the top 35 over the course of the year to have a guaranteed position in the coming season’s races. There was a team out of Statesville, North Carolina, that had a rookie driver and a good sponsor, but because they were a new team, they didn’t have a guarantee. If they finished well in the first few weeks of the season, they could get it, but we were heading into Week 2. They were in a lot of trouble—not just for making that week’s race, but for the foreseeable future, however long it lasted. So we decided to sell our number—and our guarantee—to them. They’d automatically have a guaranteed position for the year, and we’d have enough money to get to California, and keep things going. We’d lose our guarantee, but at that moment, we didn’t care. Nothing was guaranteed at that point. The family back in my younger days. I headed down to Statesville, to the shop that the team was based out of. I’d heard of the shop before. It was built for a guy who eventually wanted to run a Cup team out of it, but he wasn’t ready for the commitment. So he built it with the idea that it could be expanded if he moved up to Cup. When the original owner went out of business, he sold it to the team I was meeting with. The shop was 20 or 30 minutes away from the tiny place where we were working. When I got there, I pulled in, then got out to look around. The shop was beautiful, around 35,000 square feet. Clean. Fully stocked. There were people everywhere working. Keep in mind, we only had three or four people working on my truck. They probably had 30, maybe 40, all dressed nicely. The trucks were brand new. The shop was vibrant with energy, hope, and optimism. It was like my dream personified, exactly the opportunity I wanted and was ready for. And here I was, walking into it to sell my family’s truck rights to someone else. Not long after, the deal was done. The rights were gone. A lot of that year was spent doing that, selling off assets that my family, my mom and dad and uncle, had worked to accumulate over the course of their entire lives. Selling that guarantee was really, really hard to do. I remember calling my dad on the flip phone I had at the time to tell him I’d done it. It was a hard phone call. He was really hurt. I know it sounds kind of crazy to say this, but I wasn’t hurt. I really wasn’t. I was motivated. I remember feeling that all I needed was an opportunity to work the kinds of resources a shop like that had, and I would be successful. I left there feeling really hungry to make it, and believing that if I worked hard enough, I would. Two weeks later, our family’s team folded. Life went on, and everyone knows the story now: I worked through some low level Cup teams, got on with Dale Jr., wound up making my way to Penske, and eventually, I found the success I believed I would. I also built up my own truck team, and a couple of years ago, I decided I needed a new shop for it. Our space was around 10,000 square feet, and we were busting at the seams. I found a new place that was in foreclosure, but the bank was being difficult about completing the sale, and stalled things pretty badly. I couldn’t keep waiting. Then a new place came onto the market, and I went and looked at it. It was the same shop where I’d sold the rights to K Automotive all those years before. The floor of new facility. There’s a saying that you can’t go home again because when you do, everything looks different, and it’s not because it’s changed. It’s because you have. The shop had declined over the years, but not that much. Nothing significant was all that different. I’d seen a lot of amazing shops since 2006. (Penske has the most incredible shop in all of auto racing.) It simply wasn’t close to as nice as I remembered it being. But I knew it could be expanded. And I figured that if I could get it for the right price, I’d buy it and build it out. We renovated the shop over the course of 2014, moved in the summer of 15, and then began the expansion, which just completed. Our facility is 72,000 square feet. The floors are done perfectly with epoxy coating. The ceiling and walls are painted white, so it’s super bright in there. You can work in the shop without turning the lights on just from the natural light. It has snap on tool boxes, its own paint booth, and a ventilation system for fumes. The haulers can pull inside and operate without being out in the weather. The shop even has its own water recycling. It’s arguably the best shop in the second and third tier NASCAR series. And during the whole process of building the shop out, I’ve realized a few things. The first is how far I’ve come, and how lucky I’ve been to have the people I have around me at Team Penske. 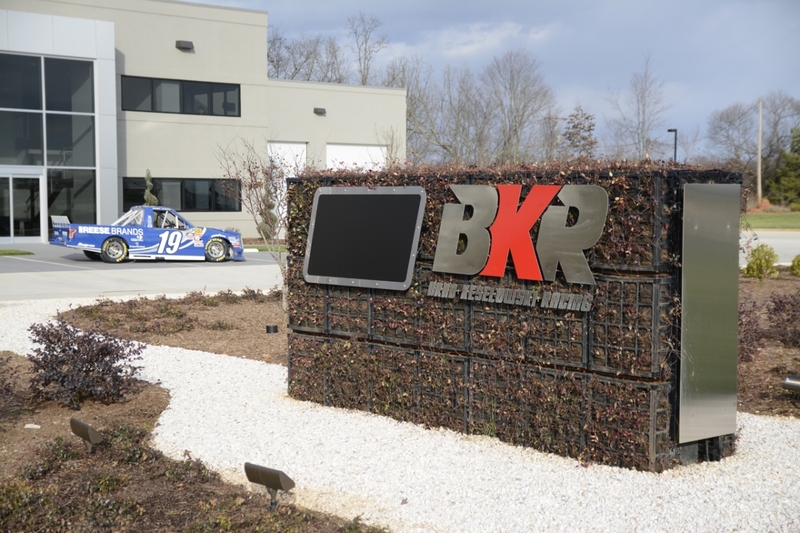 Another is that I want to be able to provide the drivers and teams at BKR with everything I dreamed of having when I was 22. Hopefully, we’ll be able to do that now. And finally, I honestly can’t believe the shop is mine. Because as much as I believed I would succeed when I was younger, I have a real appreciation now for how unbelievable it is, in some ways, that things worked out. It’s something I’ll never forget—especially on the days when I step into the BKR shop, and get to work.